Good morning! We know how much you all love our Watercolor 36 Pan Set and are excited to bring you another option for creating stunning works of art! 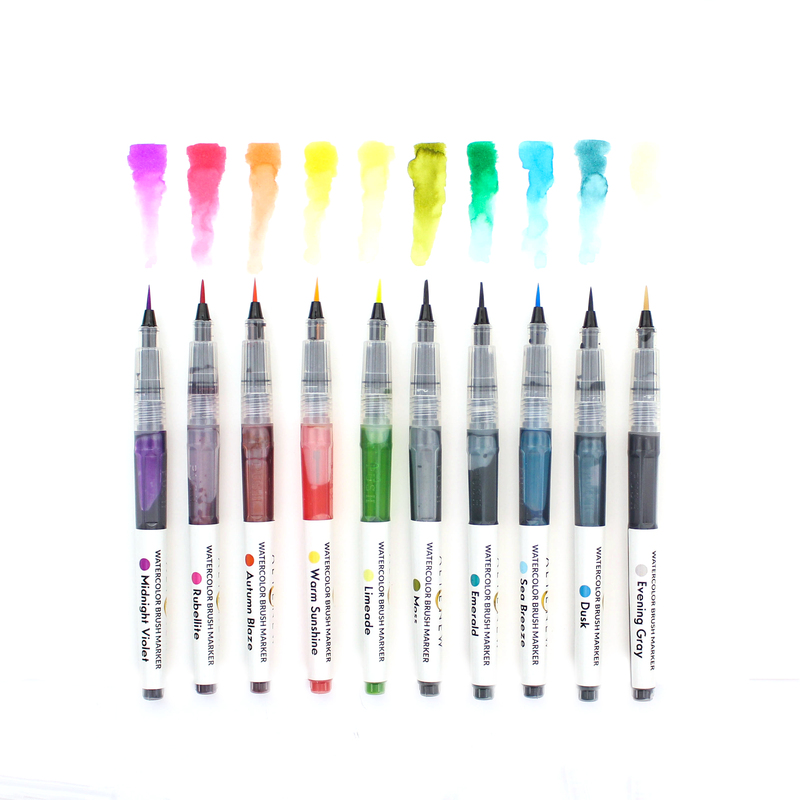 Today’s release is a set of 12 super pigmented Watercolor Brush Markers. These can be used for many different techniques, and work beautifully on their own or with our Watercolor 36 Pan Set. Of course, they also coordinate with our line of ink colors. This set is called Spring Garden and it has the perfect colors for bright bouquets and stunning scenery. We have some fabulous bundles available too so check out the full list at the bottom of this post or shop here. Now, let’s see these in action! Altenew is giving away a $40 gift certificate to SIX lucky winners! 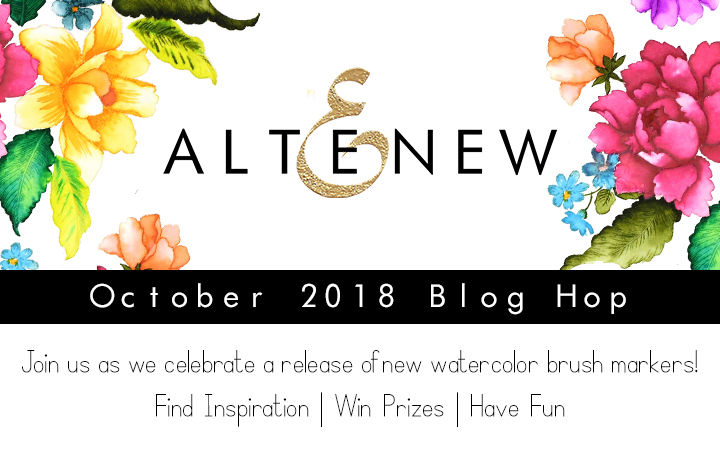 Please leave a comment here on the Altenew Card Blog and/or Altenew Scrapbook Blog by Wednesday, October 10th for a chance to win. Six winners will be announced on both blogs, three on the Card Blog and three on the Scrapbook blog, on 10/12/2018. These are such vibrant colours. Lovely! Oh my word it just gets better and better! Beautiful set, love the long brush tips… ‘dusk’ is a stunning colour! Watercolor is my newest endeavor and I’m loving it. I love the bright color of your markers! This card is gorgeous!!! The colors of the markers are so pretty and the water color look is fabulous!! I think the colour combination Altenew chose could not have been better. I am sure these markers will become a favorite for a lot of crafters..Keep up the good job! Can’t wait to try these pens. I’m really excited about these new markers. The colors are so vivid. I’ve never been disappointed with an Altenew product and these markers look like another winner. The markers look very vivid! The pink color on your flowers is so bright and so happy! Thank you for sharing your techniques with us. Wow! 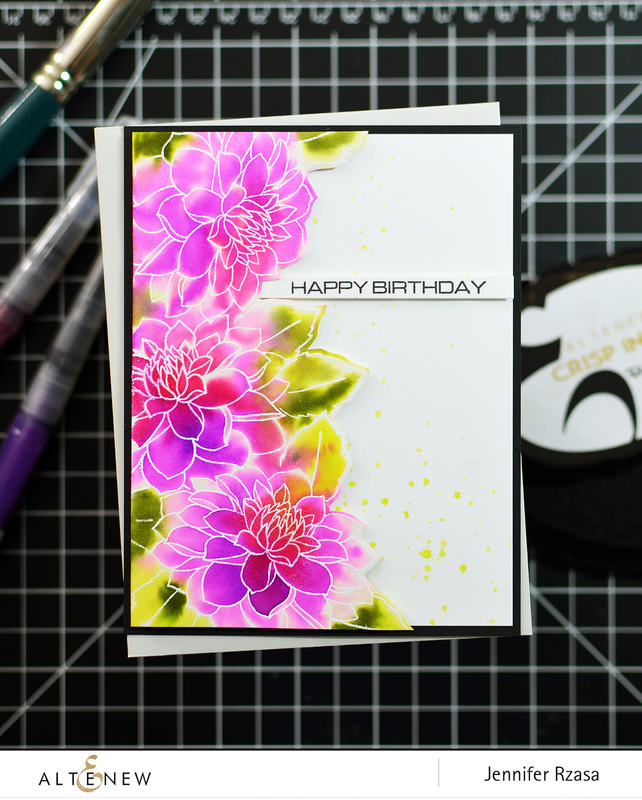 These watercolor brush markers look delicious :) Great first color palette too! OMG, I am in awe of this release. There is so many fabulous products and such amazing inspirational cards by the team. There is so many favorite products in this release. But then, I am most excited about the Candlelight stamp set and dies. The candles in the stamp are very unique. Never seen candle images like these. I now have a perfect stamp set for making Diwali cards, finally…YAY :) Have been trying to find something for a very long time now. I can now stamp a bunch of diya images. Could not be more excited. Jumping for Joy!! Thanks a lot, Altenew. What a stunning card! The markers have such brilliant colors!